A new student housing project planned for construction this summer in the Old Sawmill District will off 200 beds in 50 units. It’s one of several projects expected to break ground this year in what developers say represents roughly $125 million in construction projects. 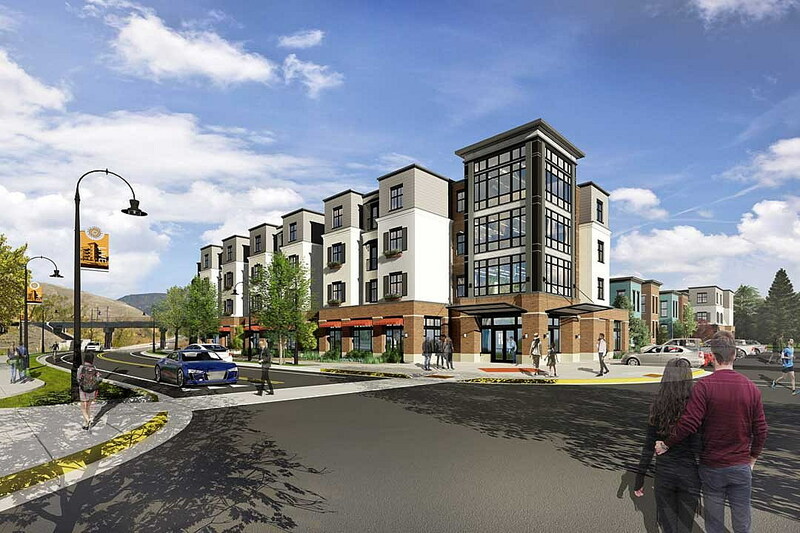 More than $100 million in construction is planned for the Old Sawmill District this summer, including a student housing facility, two additional condominiums, a high-end apartment building and a new restaurant, the developers said Wednesday. A new commercial building may also break ground this year, along with the start of a 55-an older active living center on the district’s west end. 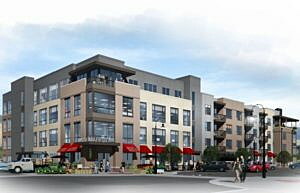 Leslie Wetherbee, a realtor with Windermere and a partner in the project, confirmed that construction had started on Building C in Polleys Square. The new building is the third to break ground in the cluster of four condominiums and is slated for completion in March 2018. The new building was listed on the MLS last week, and Wetherbee said several units have already gone under contract. Building D is also expected to break ground this spring with a June 2018 completion date. Several other buildings associated with the Old Sawmill District are expected to break ground this year, including a new student housing facility. Wetherbee said it will include 50 units and 200 beds. The flurry of construction planned this year represents roughly $125 million in development, according to Wetherbee. The Old Sawmill District, located near downtown Missoula, represents one of the largest urban infill projects in the state. Several years in the making, the project continues the public-private investment in what formerly served as the Champion mill site. The city completed Silver Park two years ago, and a separate development is slated nearby in downtown Missoula at the Riverfront Triangle. In the Old Sawmill District, work on Cambium Place also began last year, and the foundation is now in place. That project – a four-story building with a market and fitness center planned for the ground floor – will offer roughly 65 high-end apartments and office space. Wetherbee said several other projects will also begin this year, including a restaurant and a new commercial building. While construction moves forward on as many as five new buildings in the Old Sawmill District this summer, Wetherbee said plans for an active living center are in design. The project will include a gathering space and a partnership with the Lifelong Learning Center. Wetherbee said the interest is high. Development plans for the district call for a variety of residential offerings. Wetherbee said they’ll includ row-style houses, condos, town homes and patio homes. Cambium Place is under construction in the Old Sawmill District and is set to open in 2018. The project’s blend of amenities and living styles has been popular among buyers, she said. Those who have made a purchase include locals looking to downsize, parents wanting to live next to their college-aged kids, and others from outside the region. 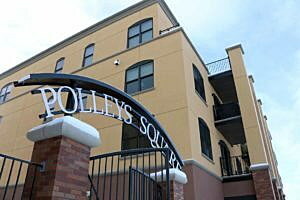 Seven units in Polleys Square A and B are still available. Buy-sell agreements are currently being accepted on Polleys Square C.
The district’s last parcel, reserved for a taller office building near Osprey Stadium, remains a work in progress, Wetherbee said.